Drill and blast major Orica has revealed its new digital platform BlastIQ. 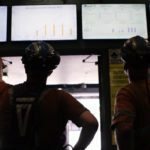 The system is designed to bring digital connectivity to the company’s blasting operations in an effort to reduce costs and improve efficiency and safety. The system is designed to integrate with the company’s SHOTPlus 3D design and modelling software to allow for near real-time in-field communication during blast loading so the right quantities and types of explosives are used. Information from blasting is sent to an online platform allowing for instant collation and analysis of “auditable data direct from the bench”, according to Orica global product manager Angelo Labriola. “Blasthole condition data is captured with the BlastIQ Mobile device in near real-time, allowing data to be shared between operations and engineering personnel from anywhere onsite, at any time, empowering rapid decision making and improved operational efficiencies,” Labriola said. According to statistics from the Centre for Sustainable Resource Processing (CSRP, now CEEC), up to 80 per cent of mine processing costs can be impacted by variable or poorly controlled blast outcomes. Orica is planning to introduce multilingual support to BlastIQ in late 2018. 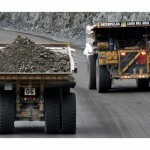 BlastIQ can also integrate with Orica’s ORETrack, FRAGTrack and ENVIROTrack systems. “Orica wants to transform how drill and blast unlocks mining value for our customers, utilising digital and automated technologies to create safer, predictable and more productive blast outcomes,” said Orica chief commercial officer Angus Melbourne.